Corporate debt is an extremely important life line for the growth of the company. Right mix of debt not only helps the corporate to have better bottom-line but also reduces dependence on Equity source of funding. 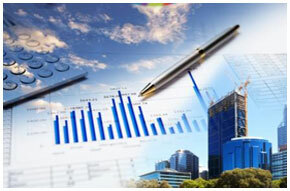 We, at Metcon Finance are instrumental in advising the clients to have right mix of sources of funds. We help them in arranging & syndicating funds from various Banks & Financial Institutions at competitive rates and in timely manner. Working capital is the back bone for any company to continue its daily routine operation. A gap in working capital can hamper the growth and creditability of any company. Hence, we have our prime focus on working capital financing and bridge the gap between current assets and current liabilities. Fund Based Facilities like Cash Credit, Overdraft, Short Term Loans, Factoring, Reverse Factoring and L/C backed Bill Discounting, Channel Financing etc. Non Fund Based Facilities like Letters of Credit(L/C), Bank Guarantee(BG) etc. We advise, assist and help in the execution of various large ticket-sizes funding for various kinds of projects PAN India.